My ball cap was missing from its peg in the entry hallway. There could be a number of reasons for this; some of my own making, some not. She hates my cap and I understand why. It was a wonderful cap on the day I bought it but that was then. Now it as faded and worn as an old dishrag.. So I first checked the kitchen trash then the refuse cart in the garage. I checked the office wastepaper basket and not finding it there I looked in the laundry room trash. “You threw my cap away again,” I yelled. “I only put it where it belonged,” she yelled back. Like I said, she hates my cap. She hate almost everything I love to wear. She despises my favorite t-shirt. She loathes the only jeans that fit me and is embarrassed by my best pair of tennis shoes. I suppose she hates these things because she is jealous. She knows how much I love them and perhaps she just doesn’t want to compete. But I still love these things and it is not just liking, it truly is love. You see, the thing about love is not only do you become accustomed to what you love but what you love becomes accustomed to you. Whether it be old clothes or old lovers, what you love molds itself to you in the most intimate of ways. That is what my cap and I have done. We braved both bitter cold and summer heat together. We witnessed countless sunrises and sunsets and over time, in the course of all we have been through, we worn ourselves into each other. I wear it wherever I go. Its color and logo speaks to who I am. Even people who do not know me by name, know me by my cap. I am not who I am without it. My wife wants to get rid of it because it is old and faded and in her view, it makes me look ridiculous. But I don’t give up on things that easily. I fell in love with that cap at first sight. New things always promise impossible dreams and for a while new things deliver but then something newer comes along to convince you that the dream you once held is not worth holding anymore – and you toss it away to take up a new one. It is like we are constantly throwing away our dreams. Well, I don’t do that. I stick with my dreams and if someone wants to throw them in the trash, I will dig them out. I wouldn’t mind my husband reusing old clothes, but I do mind all the old clothes that are never worn and just fill up closets and drawers and bins under the bed. Let it go, already! Of course, he could probably say the same about me. It is that dream that one day we will fit into what we wore ten years ago, or five years ago, or last year… or even after the buffet last night. I love your sense of humour really enjoyed this little story about your cap! In our house it’s my husband that is always throwing away my stuff so I kind of related to this story about you wanting to treasure your old things and not throw them out! They have a history with you. I get that! Yes, I hate throwing things out! Ugh, makes me shudder! It’s always interesting how much an object can mean to one person while it looks so “lame” to others. Paint clothes. I have a few pairs of sweat pants and tees that are covered with years of paint. My husband gets concerned when they get holes is rather unfortunate places and i still wear them, because he is thinking I will wear them out of the house. So far I haven’t — I know the holes well too. The sweats hold the memory of the paintings done in them — I know the colors! Good post. I could see how this might play out in our house. This sounds so very familiar 😉 , like a dialogue from my household! I like telling stories that everyone can see themselves in. Even the person who doesn’t have an old faded baseball cap can see this happening if they did. Truth be told, I have a number of caps, or at least I think I do. They all find their way into the trash but I only fish out the one. I think all women see their husbands as dolls that need to be dressed according to the wife’s tastes. I have fought numerous battles like yours, some wins and some losses. I miss some of my old stuff…. Don’t get me going on caps… When I noticed my husband was wearing a cap from his work place while we were on a get-away, I chastised him. I did not want to be visually reminded of work. Even if it was his. I have been known to toss a few caps, with permission, of course (mostly). But you are right. New is not always better. Now that I am retired, I especially value my “work” cap. You can hardly read the “BCA” but I still wear it every day. “New things always promise impossible dreams and for a while they deliver but then along comes something newer and you become convinced that the dream you once held is not worth having anymore – that you should toss it away and take up a new one. That, my friend, is wisdom of the ages. It is the same with faith, Mark. They can throw it in the trash but I’ll dig it out. The grass isn’t always greener, is it? Lovely post, AI, and your wife is a one lucky gal. I suspect she knows it. No, the grass is not always greener but it is NEW! and IMPROVED!! My wife is prone to wearing my favourite jumper! Normally it doesn’t really matter – just irks me a little. Yet this very afternoon I spotted her in it along with a paint brush and masonry paint tub out painting the garden wall a debatable shade of white. Furthermore my jumper – had it for years – was covered. Her riposte…’buy a new one for this is so old it’s falling apart’. ’buy a new one for this is so old it’s falling apart’. Overnight and having quite forgotten yesterday in it’s entirety you will understand I rather chuckled at reading your comment above! As in….’her old what!’ I shall have to show her this thread! Dude, you almost make me cry. Seriously, very touching! I understand. I have a ratty t-shirt I bought on our honeymoon cruise — full of holes, etc.– but I won’t throw it out. Our ancestors believed that things like that had power – and they were right. It is not so much the power of the thing, as it is the power of memory. Never lose that. Such a wonderful presentation of why we love what we love. Sounds like you and your cap travel well together; may your journey continue. 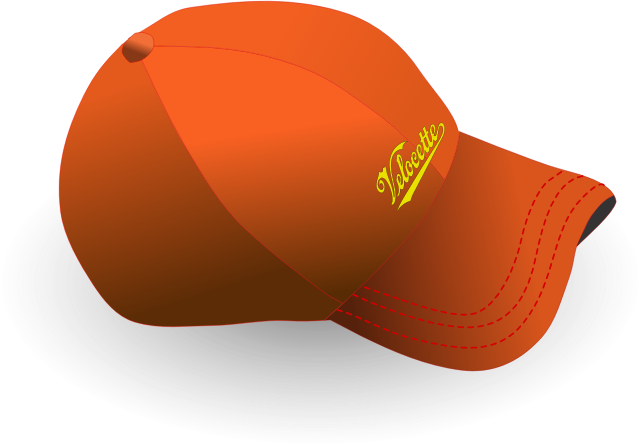 Scooter, my cap and I just got back from our six mile walk on the gravel roads of Almost Iowa…. Our journey will continue tomorrow, come rain or shine. Love this. Personally, I totally, dig old ball caps. The best, however, are broken work boots. Ariats. Mmmmmm…..
Oh yeah, I had a pair of steel toed Redwing work boots that I wore in the steel foundry. Wonderful boots. I walked the worst streets without fear in those s$%t kickers. Excuse me, I need to go the ladies room…. My husband is known by his knitted orange hat. He has a thin one and a thick one, worn depending on weather, but he’s so rarely without them people don’t recognize him when he’s sans hat. (And for the record, I’ve been known to sneak them into the washer but I wouldn’t dream of throwing either of them away. They’re his signature and his bankies. No baseball caps – we’re British. But my husband solves the when out clothes and dreams thing with a regular infusion of identical purchases. I love it. It’s the old/new. Or is that the new/old? Or retro? It still solves the problem. Great piece, Almost Iowa! It’s understandable when people get close to clothes and captivated by caps. And it is also understandable why their loved ones try to throw them in the trash. The clothes, I mean. My husband’s boss is always on hubby’s case about his dirty old baseball cap. He keeps giving him other clean caps to wear but they don’t mean anything to him and he refuses to wear them. I am with him. A clean cap is a blank slate, full of possibilities but it just won’t do. Not that there is anything wrong with new possibility….but at a certain point, history is just more interesting.